I get asked this question often, and the answer is simple and quick: Because it is POISON! I don’t eat sugar. I have had my problems quitting it. I don’t know how many times I quit for some period of time ranging from weeks to months. Once, when I was about 20, I quit for over two years! I still don’t know how I did that at that age. And, I will probably indulge in a piece of pumpkin pie for Thanksgiving. I am in Bali now. The first words I learned how to say in Indonesian were ‘without sugar.’ They put sugar in everything here. The locals are amazed that I don’t eat sugar. I usually don’t tell them that I don’t eat grains either, but of course they notice and sometimes ask about it. Sugar is highly toxic to the body. It is oxidative, causing damage when it interacts with cells and important biochemicals in the body. And, it is one of the main causes of coronary hear disease. Sugar in the blood is one of the main causes of the nicks and tears that happen in artery and blood vessel walls. As I mentioned, it is highly oxidative, and when blood concentration is high the sugar reacts with blood vessel walls causing nicks and tears. Basically perforating blood vessel and artery walls. The body patches these tears, as it should, with plaques. The problem is that these plaques build up and eventually start to restrict blood flow which is what coronary heart disease is really. The body responds to high blood sugar by releasing insulin which causes a whole series of biochemical responses. And, insulin itself is damaging to the lining of artery and blood vesicle walls in similar ways that sugar is. Which of course causes artery blockages. The story of insulin and the problems it causes is a long one. At one point in my continuing education on biochemistry I was learning one or two facts a week about what happens when insulin is high. I was literally shocked into giving up sugar…that time. I am sure I will be writing more about the problems caused by high insulin as time goes by. For the most part, I’m not opposed to eating whole grains though I am starting to change my mind about this. For me though, I find that not eating grains makes a big difference in my health. First, when I don’t eat grains I don’t lose nearly as many hairs everyday. I have a full head of hair which is at least somewhat unusual for a man my age. I haven’t studied much about hair loss and health, but I tend to think that when I notice one sixth the number of hairs in my brush everyday as compared to when I do eat grains, well it makes an impression. The most likely reason this happens is that grains contain proteins called lectins. Lectins cause inflammation that can lead to many problems. Secondly, my grey hairs started turning brown again. Yes, really. A few months before I noticed this change, my adrenals were down. I had been treating them with herbs and supplements, and I had quit sugar, but they just weren’t coming up. After stopping grains, they came up rather quickly. Six months later I noticed that many of my grey hairs were turning brown again! I had to calculate by how long the revived color had been growing to figure out that it had started changing when I quit eating grains. That really makes an impression. One of the main reasons I gave up grains and sugar in the first place is that I wanted to clear out candida. Candida is a fungus that is supposed to live only in the gut. But, when fed sugar and processed grains it will overwhelm the good bacteria and fungus that help in digestion. It also causes a change in the Ph of the gut. The wrong Ph causes damage to the intestinal wall. Candida can then escape into the body. It travels around causing a condition known as systemic candida which causes a lot of problems. I’ll give you an example of what systemic candida can cause: one of the most common forms of arthritis. How this happens is that candida migrates from the gut into certain joints. This stimulates the immune system to try and get rid of it. The problem is that the part of the immune system that handles candida is in the gut. The wrong mechanisms try to kill of the fungus in the joints with the wrong ‘bullets.’ The joint gets attacked instead causing the inflammation and pain characteristic of arthritis. These are only a few of the problems caused by sugar. The main issue really is the way it causes insulin to release with the problems that causes. Knowledge is power, in this case the power to make a decision and stick to it. One of my life’s goals is a very, very long and healthy life. Not eating sugar is one of the most important things anyone could do to achieve that goal. Thanks Alex, glad to have you aboard. I’ll try to add something every now and then. I appreciate your input on sugars and grains. I come from a family that eats lots of rich foods, mostly meats and pasta (Italian father). He has always been heavy and has suffered from sleep apnea as long as I can remember. Recently, he started on an Atkins diet, which drastically reduced the amount of carbohydrates (mostly contributed in his diet by pasta, breads, etc.) that he consumed. He noticed a drastic improvement to his sleep apnea and also noticed that he had much lesser symptoms of acid reflux. Until that point we had always blamed the reflux, weight and sleeping problems on his high intake of fatty foods like red meat and cheese, and also alcohol (which is not a good component of ANY diet, regardless.) It dawned on us that what we missed was the fact that in almost every case, meat and cheese was paired or supported (sometimes literally, as with pizza) by bread and grains. We had always thought that the sleep apnea was from his weight, but I, being 24, weighing in at around 180lbs, standing at 6’2″, suffer from many similar sleep-related problems. The only thing we shared was our diets. I have strongly considered switching up my diet to avoid grains as well. I already do a good job not eating much sugar as I do not often crave sugary substances, but much more often look for savory, spicy meals. One last question, based on this topic. What are your feelings on beans and legumes? These are great sources of fiber and complex carbs, but are often consumed in a pristine, unprocessed state. I do not experience any side effects when eating them (for the most part) but would like to know your take on this food group. It’s amazing to me how many problems are blamed on fats! A hundred years ago heart attack and cancer were almost unknown, and they ate a lot of all kinds of fats. A simple study of basic physiology makes it obvious how wrong the fats are bad idea really is. Fats don’t convert to triglycerices (the form energy is stored in the body as fat), but rather a direct conversion by the liver using excess carbohydrates. There are two major issue with fats. The first has to do with balance. Most Americans need to eat more fish or at least take fish oils. The other is trans-fats which have been shown to be a major contributor to heart disease. And, they are going to find a connection to cancer, lowered fertility and other issues. Fortunately, the public is much more aware of this issue now. The problems you describe are but one path that this kind of diet can lead to. For others the issues are mental, emotional in nature. Others develop cancer, heart disease, diabetes and other major conditions. 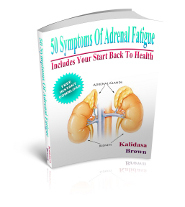 Apnia is usually from adrenal fatigue. It is caused by lose ligaments that often come with adrenal fatigue, and there just isn’t enough energy to keep things where they belong. Same for some hiatal hernias and almost always with irritable bowl issues. Legumes are great for the reasons you mention. Other than allergy or intollerance, which can be corrected with enzymes, the only issue I have with them is how people think they are getting protein from beans and some grain. Most people simply don’t have the enzymes to get all the amino acids out, and couple of them aren’t in a very high quantity.